Training From Hell - The 666 Method! 'So you do six sets of six reps in six minutes?' The name of this workout was found out afterward. We call this the 666 method! Try it and see if you are man enough! It was a hot, muggy day in Orlando, Florida. Scivation R&D team member Derek Charlebois and myself, Marc Lobliner, were about to train at the closest training facility we could find. We wound up at a Bally Total Fitness and paid for our day pass then walked in. "How should we train today?" Derek asks as we walk into the weight area. We already knew that it was leg day because we had coordinated our training splits so we'd be able to train together. As experienced trainers, we have tried and used many different methods to gain lean mass and drop fat. I was about 13 weeks out from a bodybuilding competition so I really didn't want to change much because things have been progressing well. 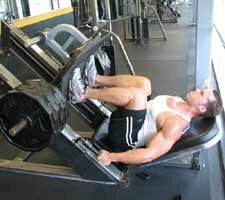 My Leg Workout From Hell! Sometimes I really begin to wonder how these people train their legs? This is the reason why I feel that this article must be written. "I've been doing a new type of training. One where I use high volume and moderate reps and little rest between sets. 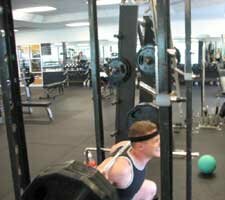 In fact, I use mainly sets of six reps, I rest for 30 seconds and do six total sets." I said. Derek then deduced some simple math that somehow eluded me, "So you do six sets of six reps in six minutes?" The "666 Method" is now a reality. 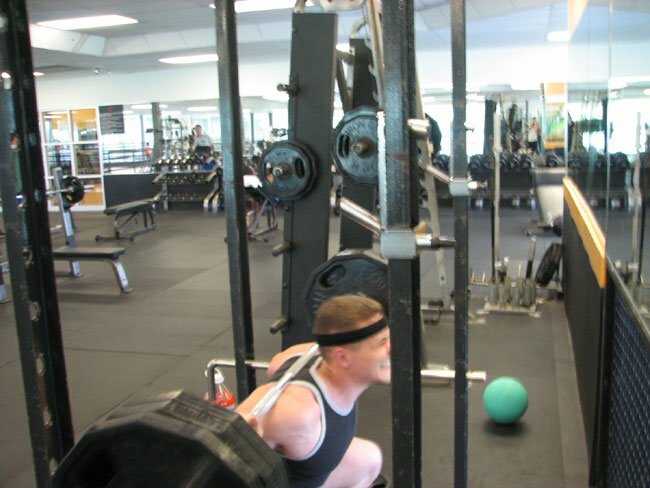 Derek and I set forth to put together a training program that would allow us to stimulate every single muscle fiber - multiple times - and still be able to push up some decent poundage. With only 6 reps per set, our weights stayed consistent and we were able to really get an amazing pump - even in our legs! We then got to work and applied this method to all of our other workouts. 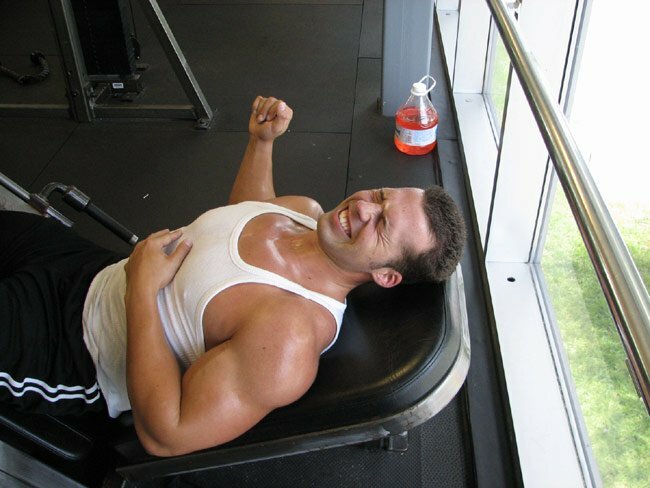 Sure enough, we experienced mind-blowing pumps and hoisted monstrous weight on each and every workout! This is the part of the article when I tell you to "Go to Hell!" I am talking about putting down the stopwatch, getting a towel or headband to sop up the sweat, and jumping into the 666 Method right away! 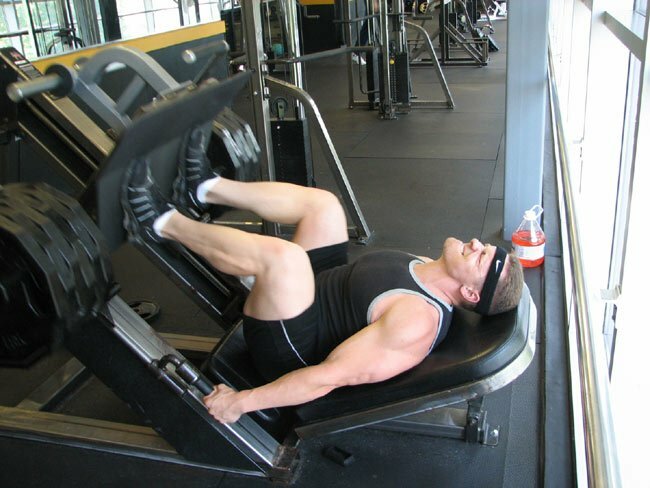 The following is an example of what your workout will look like for each bodypart. 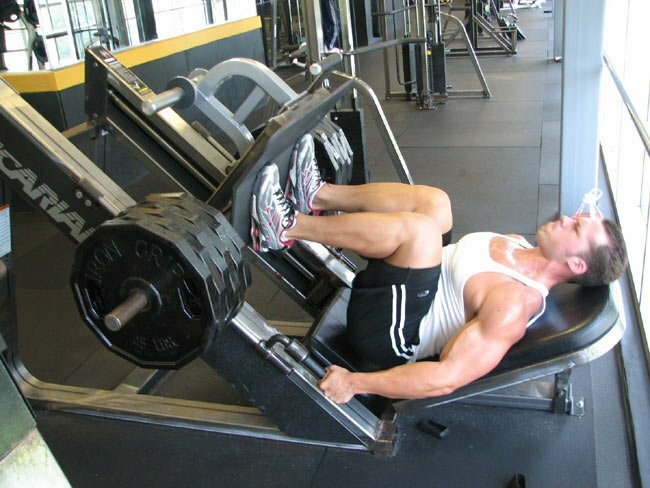 Note: All exercises are done for six sets of six reps with 30 seconds of rest in between sets. Choose a weight that is 80% of your 6 rep max (6 RM). What Does "6 RM" Mean? Six Rep Max. 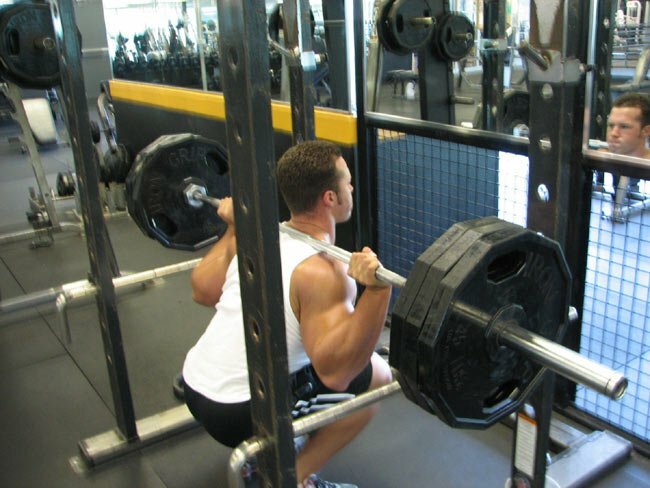 An "RM" specifies the maximum number of times (reps) you can lift a weight before hitting muscular failure. Click here for more information. 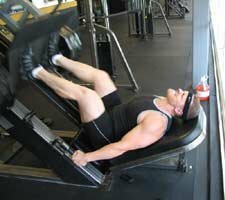 Perform 30-45 minutes of cardio before or after weights with a heart rate range of 130-150 bpm. 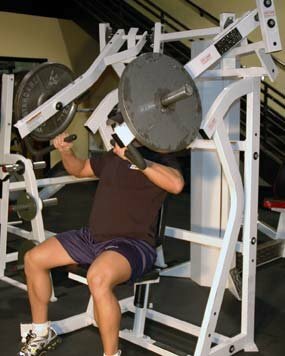 All exercises done for six sets of six reps with 30 seconds of rest in between sets. 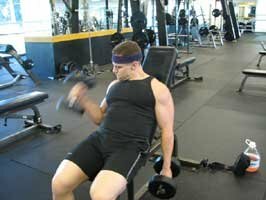 Choose a weight that is 80% of your 6 rep max. 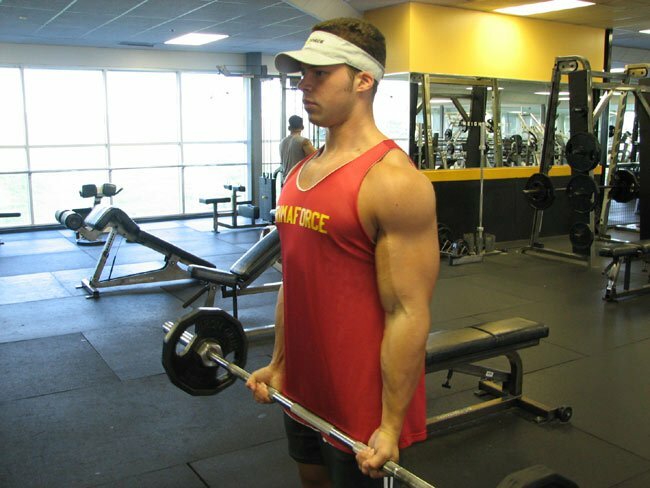 Lobliner Loves Incline Hammer Curls! Click Here For A Printable Log For Wednesday. Perform 30-45 minutes of cardio, with a heart rate range of 130-150 bpm. Lobliner, 13 Weeks Out, Showing His Vascularity! 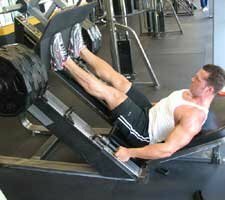 Going Deep On Leg Press - Yeah, Buddy! Click Here For A Printable Log For Saturday. You are a performance athlete who needs to recover to compete the next day. 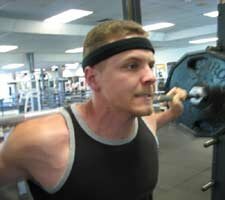 You are an ectomorph who has trouble putting on mass. Ectomorph is a human body type. Ectomorphs have short upper bodies, long arms/legs, long/narrow feet and hands, little fat, narrow chest and shoulders and long thin muscles. 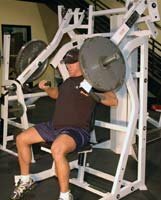 Ectomorphs mostly consider themselves hardgainers. 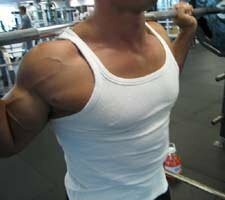 If you are like most bodybuilders and physique enthusiasts, you weight train for 30-60 minutes and do maybe 30-45 minutes of cardio. This expenditure does not require the post-workout shake to recover and the spike in insulin will be detrimental to most bodybuilder's goal of being lean and hard. We recommend drinking a combination of branch chain amino acids (BCAA) and whey protein isolate (WPI) pre, during, and post workout. SciVation makes a product just for this called "Xtend" that contains BCAA, Glutamine and Citrulline Malate; and PrimaForce makes "Substance WPI" whey protein isolate. The beauty is, they both come in grape and watermelon flavors for a refreshing, anabolic workout drink! Dosing should be 1 scoop of Substance WPI along with the equivalent of .17 grams per kilogram of bodyweight of BCAA mixed in 24 ounces of water. This would be 5 servings of Xtend for a 200 pound person. Drink 1/3 of this mixture pre, 1/3 of this mixture during, and 1/3 of this mixture post-workout. 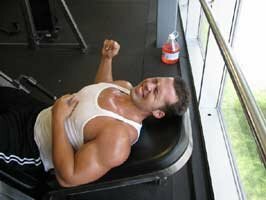 Start drinking the pre-workout portion 15 minutes prior to training. When you get done training, go home and eat some food. Remember, it is not the pre-workout meal that provides the energy and fuel for training; it is the many meals the days before the workout that matter. Scientifically Advanced Endurance And Recovery Enhancer! This workout will be intense and will leave a lot of people gasping for air and limping the next day. Are you man enough to go to h#ll and back? If lean mass gains and losing bodyfat are your goals, you're damn right you are! BodyBlog: One of our BodyBloggers tried this workout. See what he thought! Could he handle it? Marc Lobliner is the President of SciVation, Inc. He is a Certified Personal Trainer with over 8 years of experience in the Health and Fitness Industries - including over 4 years with Weider Publications. 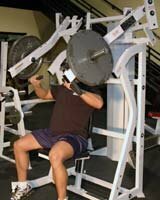 He can be reached at mlobliner@scivation.com. Please visit Scivation.com and PrimaForce.com. Derek Charlebois is an ACE certified personal trainer, competitive bodybuilder, and holds a Bachelor's degree in Exercise Science from The University of Michigan. Derek is the Promotions Coordinator/R&D at SciVation/PrimaForce and is involved in coordinating promotions, research and development, and advertising. 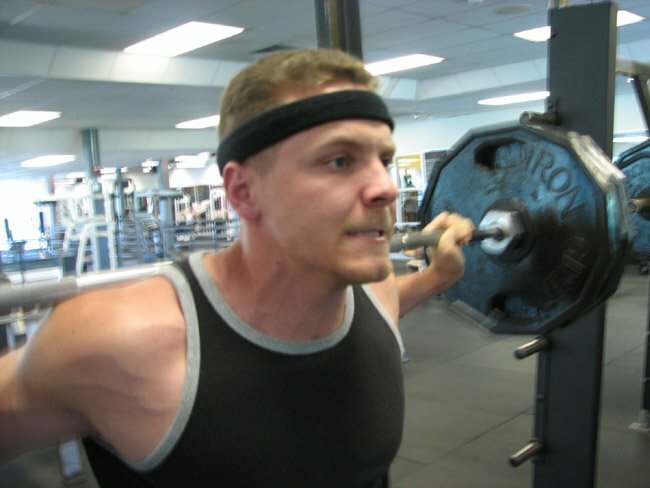 Derek is an accomplished author with articles on such websites as Bodybuilding.com and StrengthAndScience.com, and contributed to the book "Game Over: The Final Cut Diet You'll Ever Need." Derek can be reached at derek@scivation.com. This article is also available at Strength & Science Magazine Online.